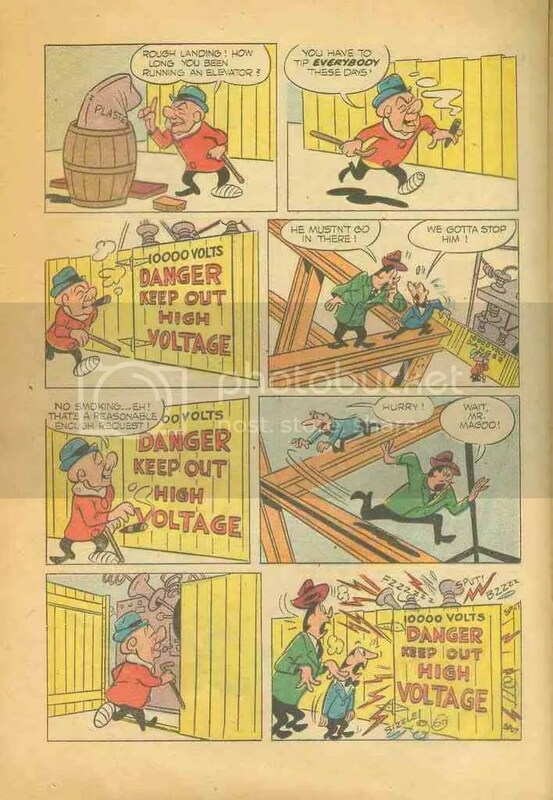 This is from Our Gang Comics #4 from 1942 (I think). 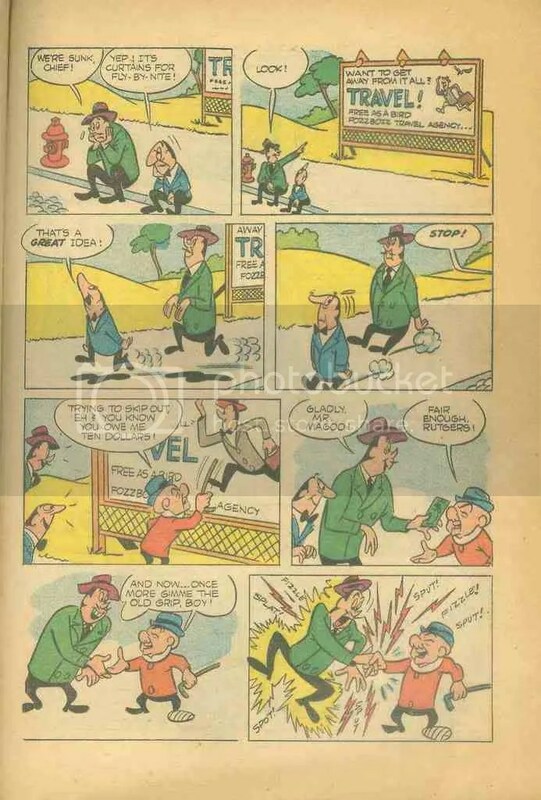 This is still early in T&J’s career judging by the way they are drawn here. 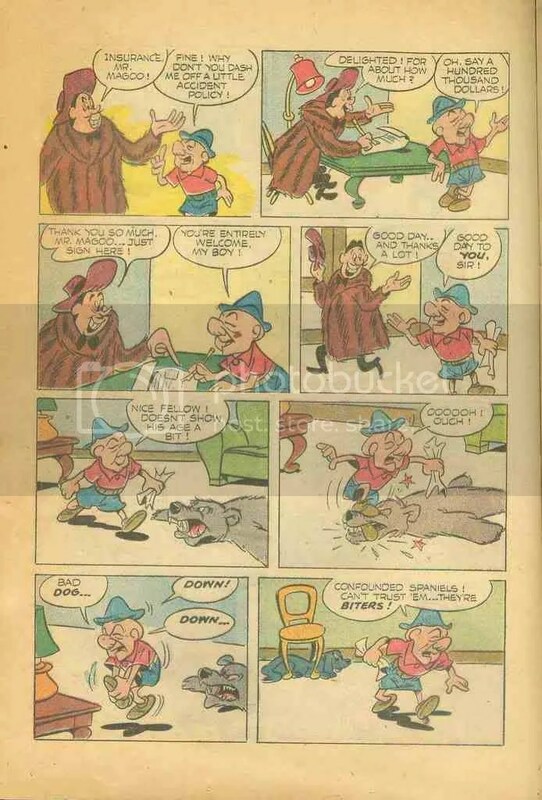 This is from Dell’s Animal Comics #2 which came out in early 1942. 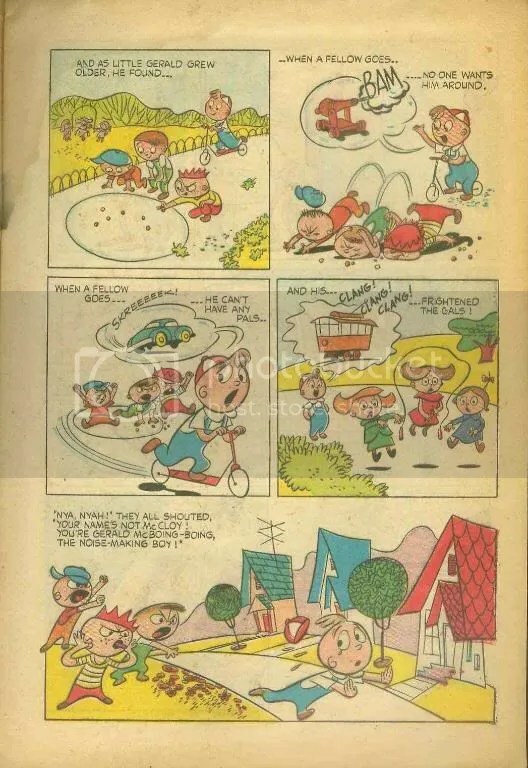 I love the artwork of this story by Justin Gruelle, brother of Raggedy Ann creator Johnny Gruelle, and a great artist in his own right. 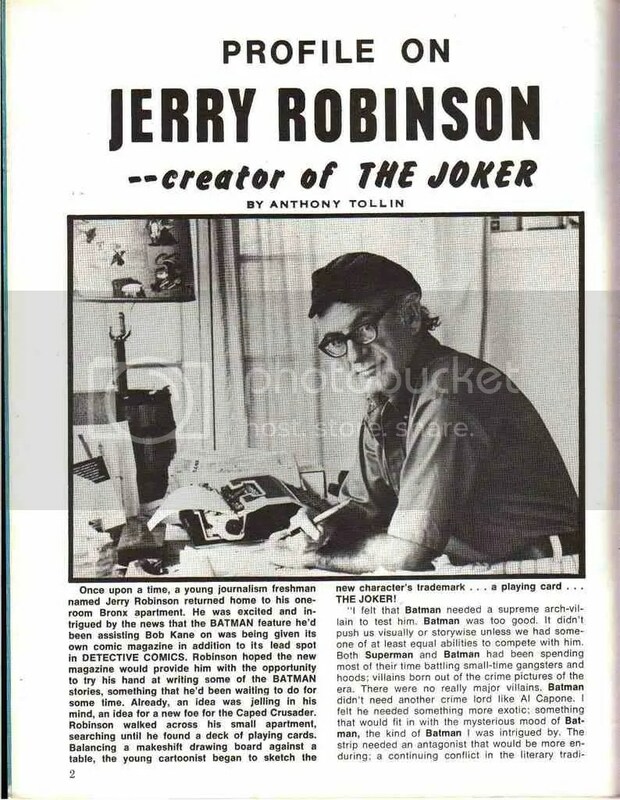 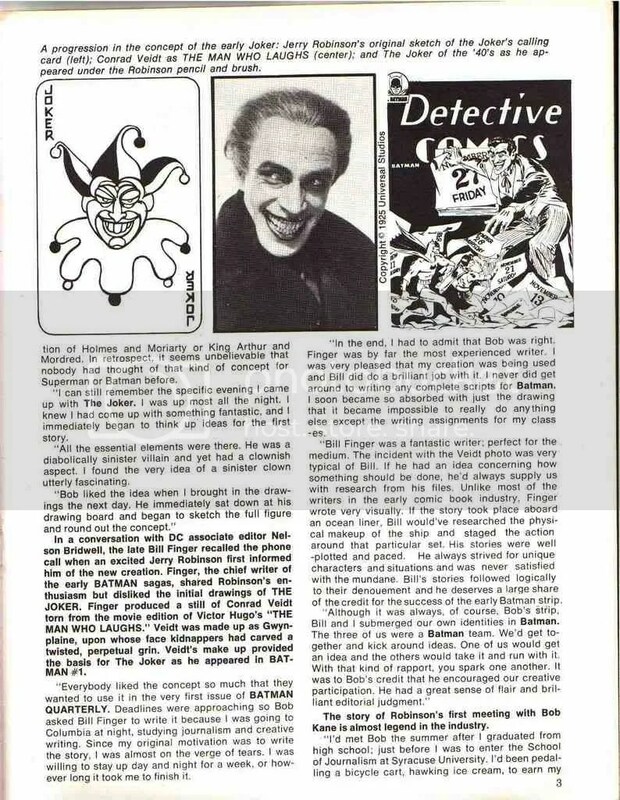 I always wondered why clowns and circuses were not more prominent in comic books and cartoons. 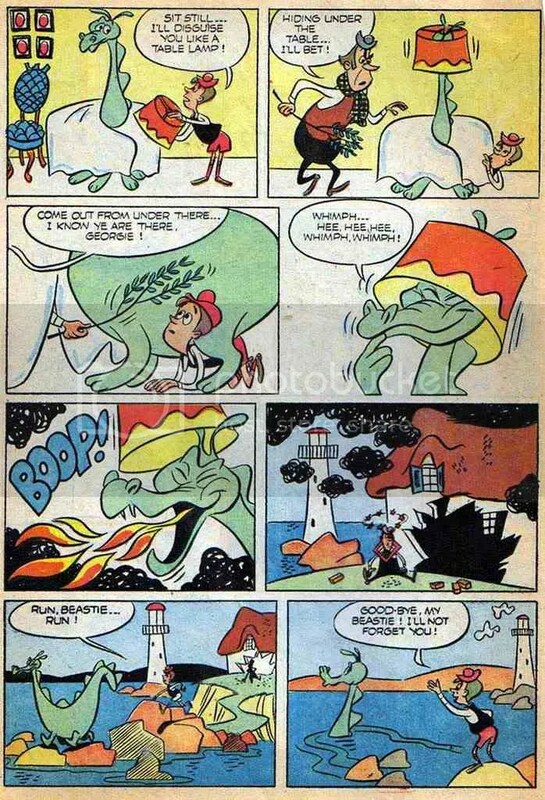 You’d think that something so full of colour and movement would be ripe for these two mediums. 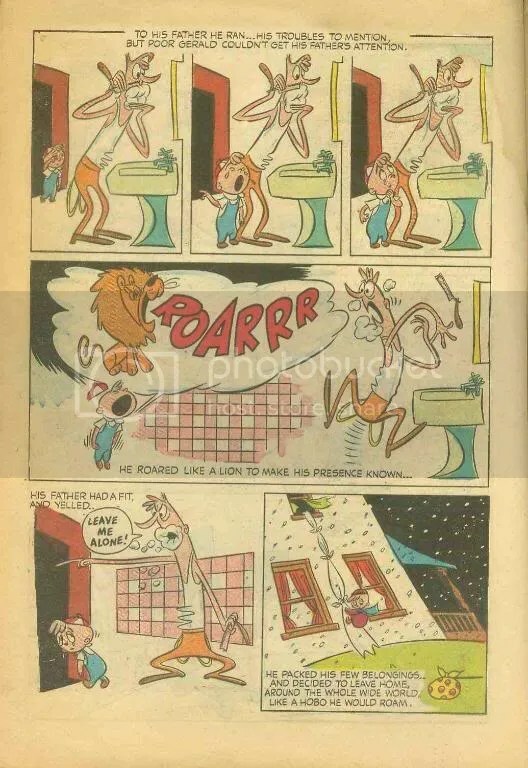 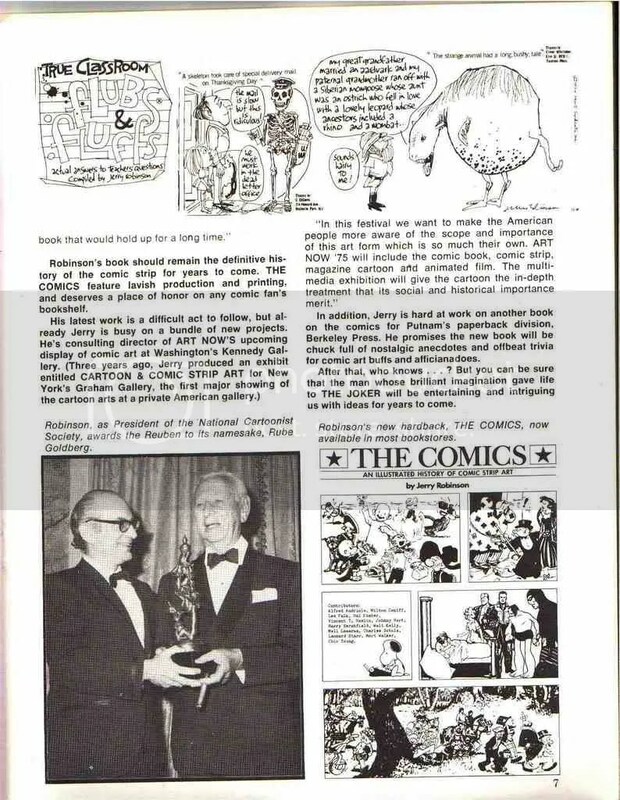 I haven’t really known much about these types of funny animal comic book, as I grew up primarily focussed on superhero comics and MAD (as well as Cracked). 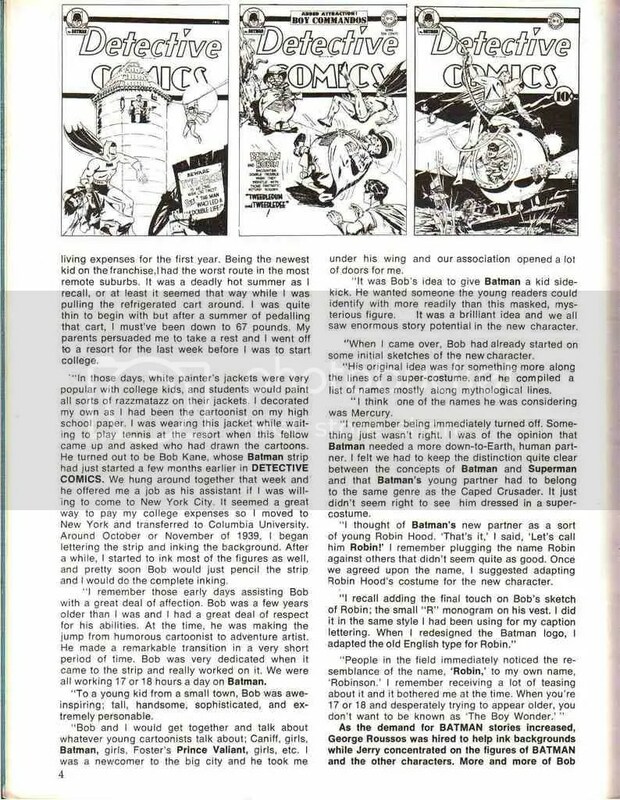 I must say that I have been impressed so far with the stories and art work contained within the books and wish that there was some way these could be reprinted and made available to the children of today as it is a shame that these wonderful stories have been allowed to simply fade away. 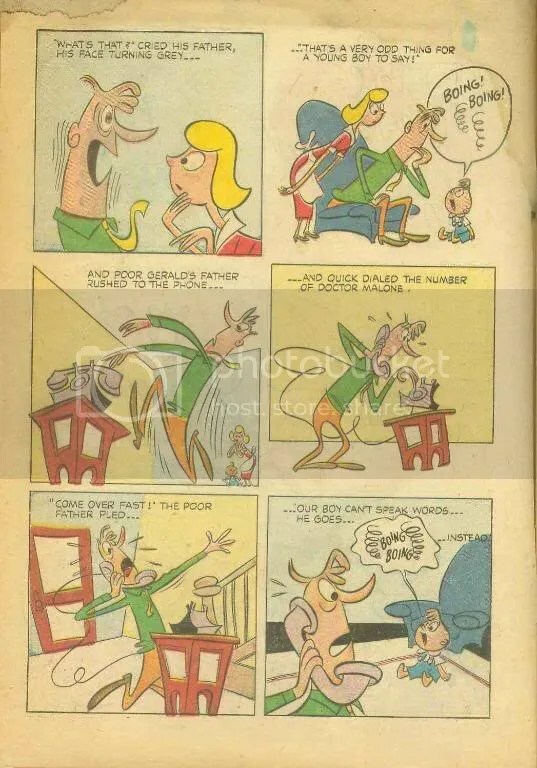 Of course there is Art Spiegelman’s wonderful book The TOON Treasury of Classic Children’s Comics, but this seems to be more focussed towards the adult collector. 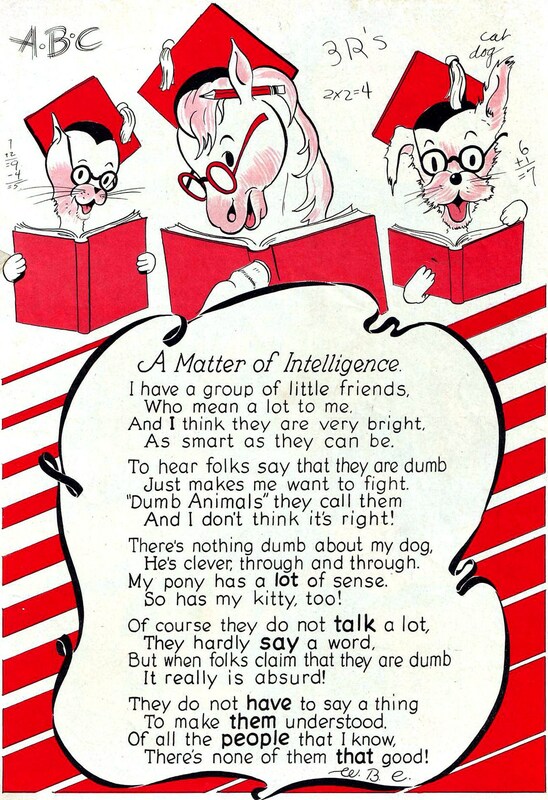 This cute little poem is taken from Dell’s Animal Comics #1, Dec 1941/Jan 1942. 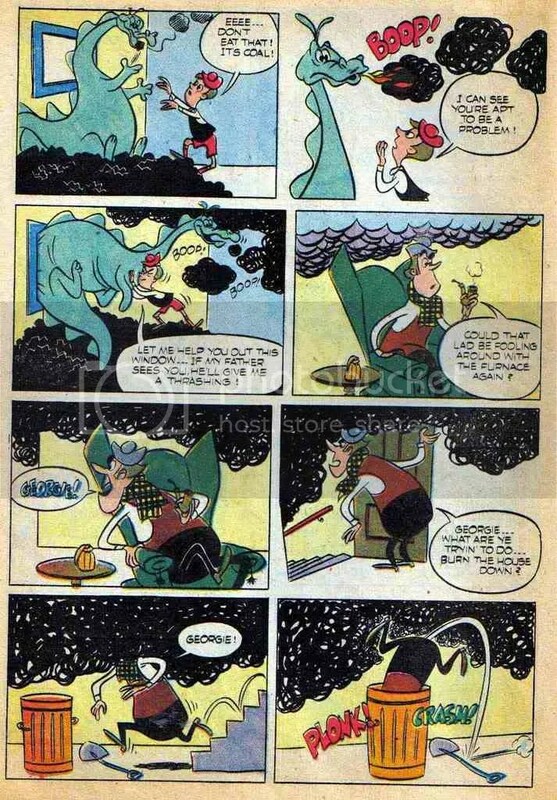 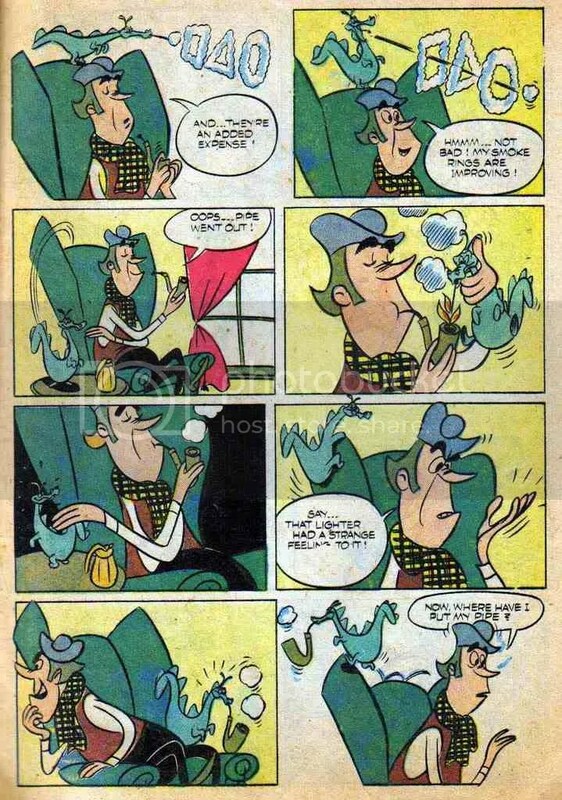 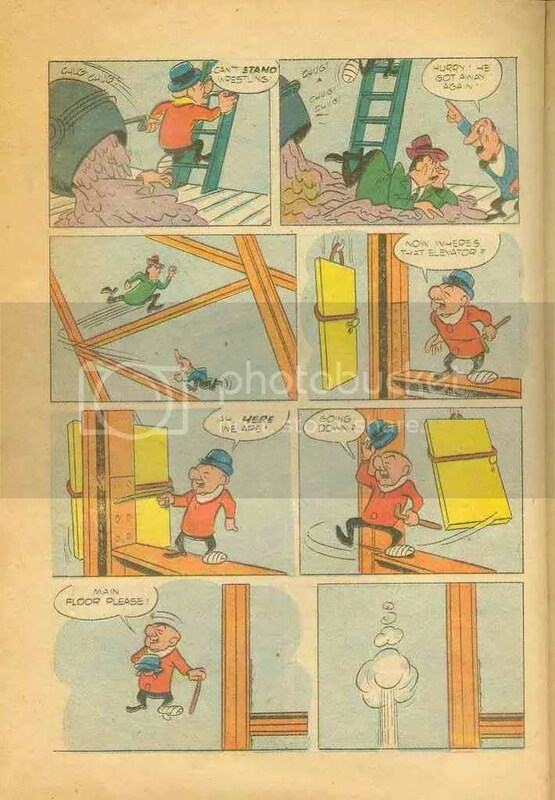 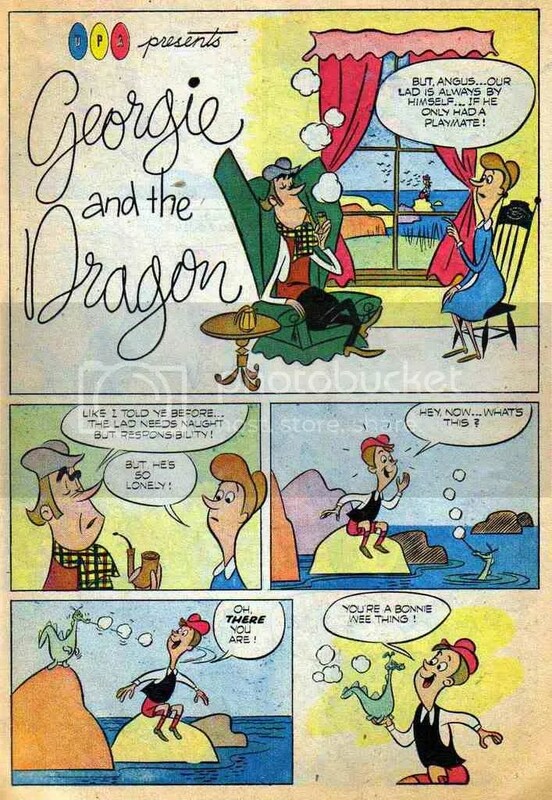 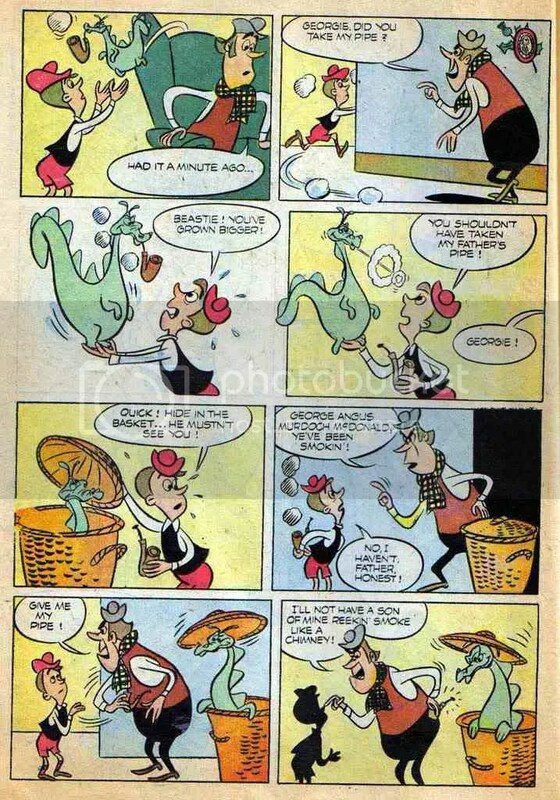 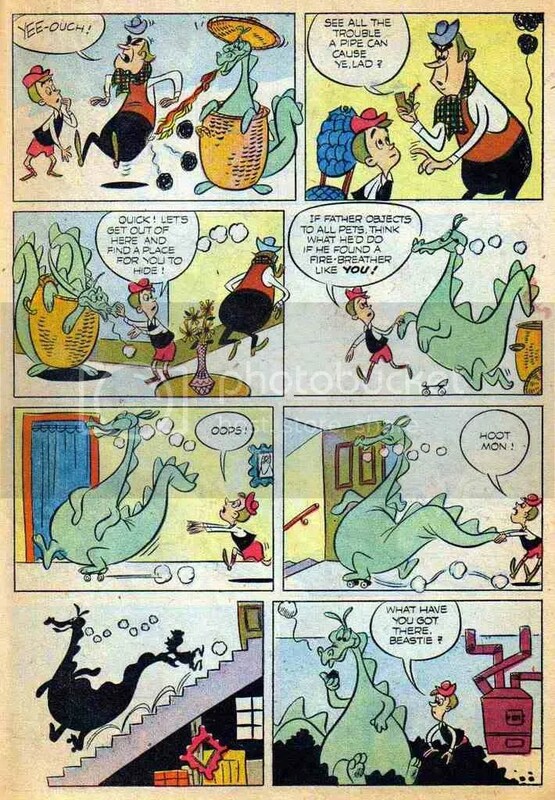 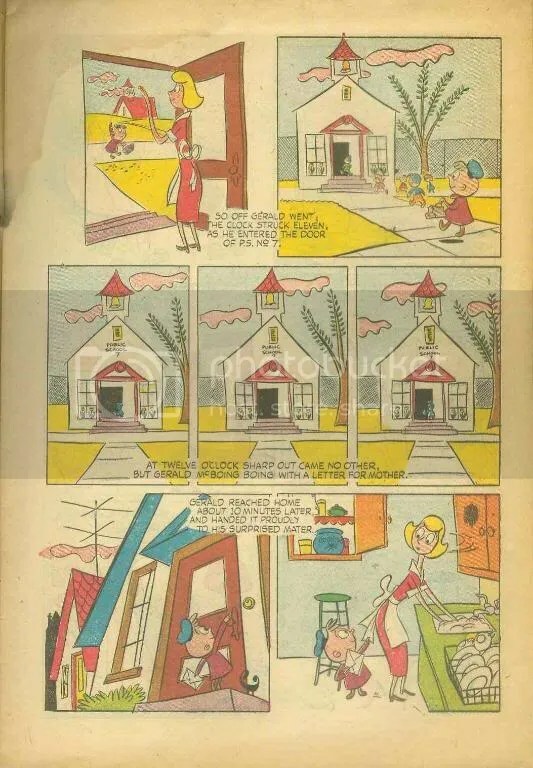 This is the Dell Comics adaptation of Georgie And The Dragon from Gerald McBoing Boing and the Nearsighted Mister Magoo #5 from 1953. 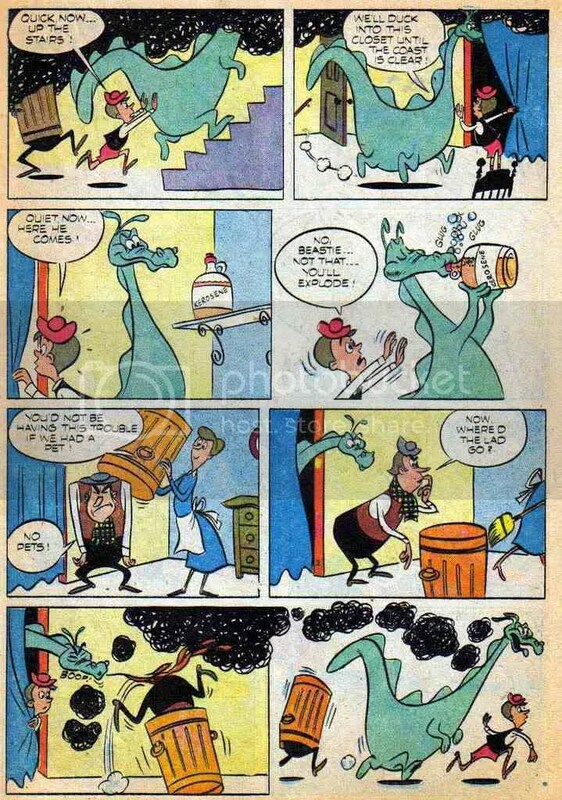 It’s just a straight adaptation of the cartoon which is a favourite of mine. 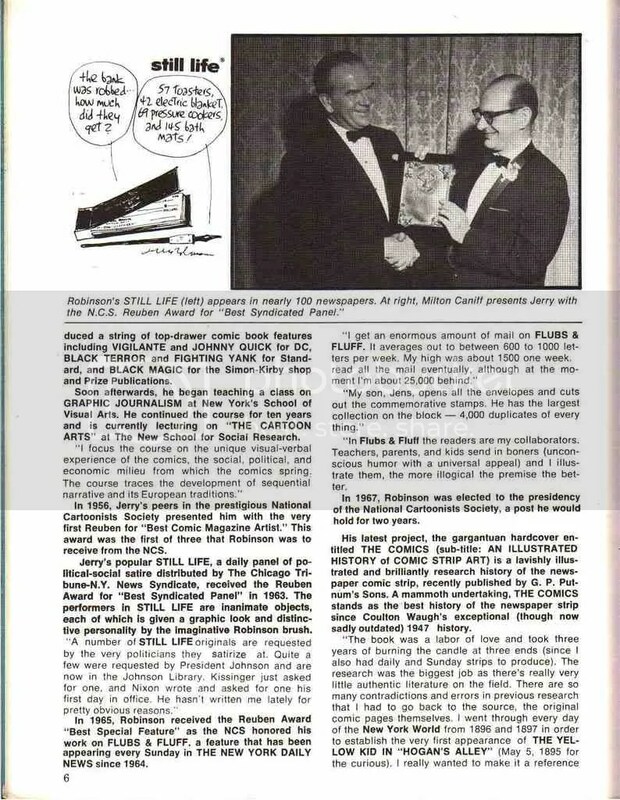 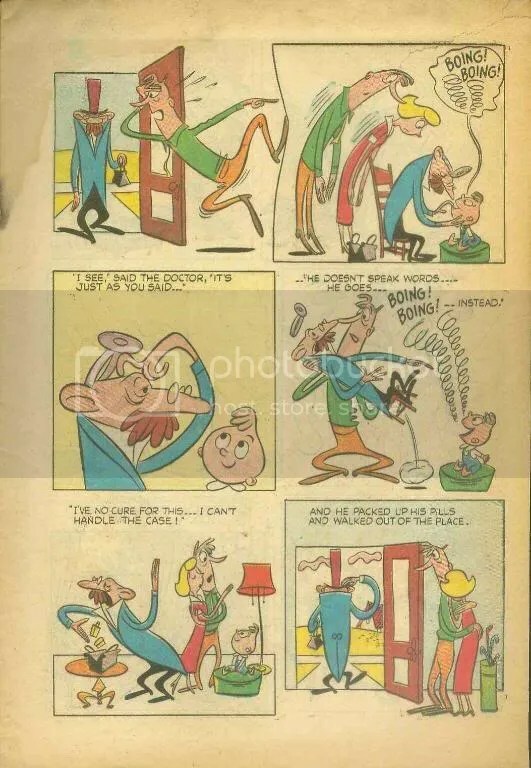 This is another story from Dell‘s Gerald McBoing Boing and the Nearsighted Mr Magoo. 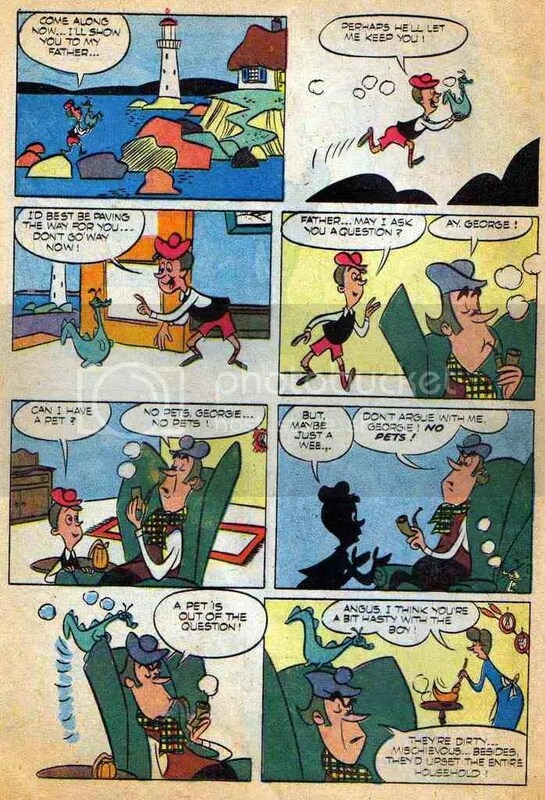 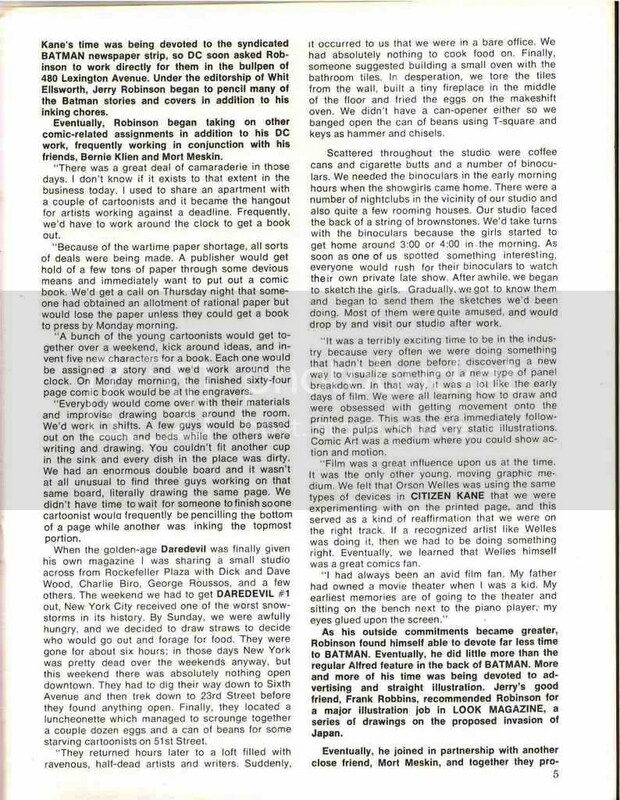 This is actually from the first issue and is again just a straight out adaptation of the cartoon. 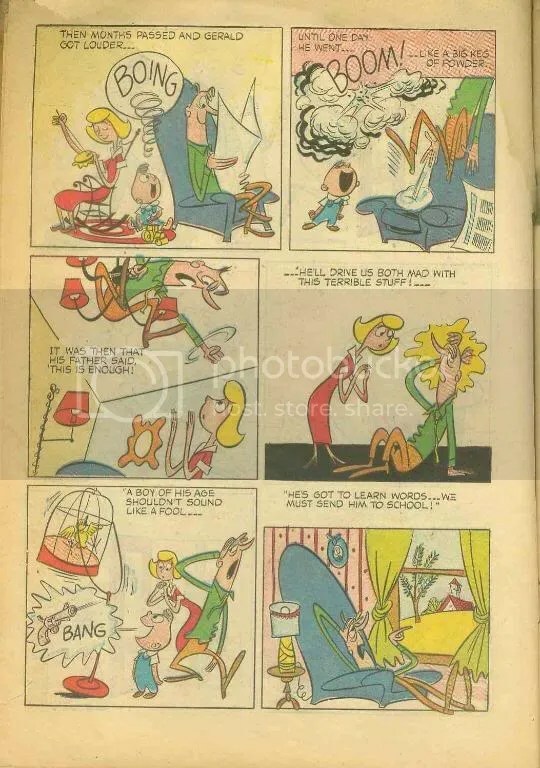 For those who don’t know, the story was written by Dr. Suess. 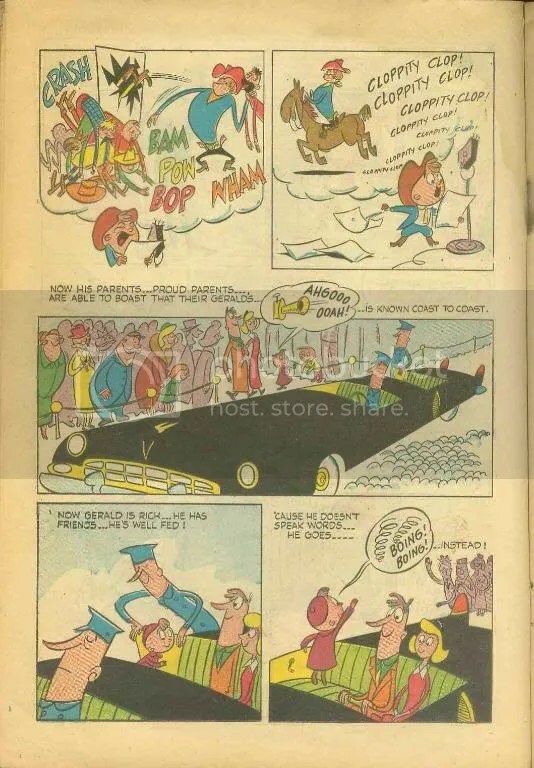 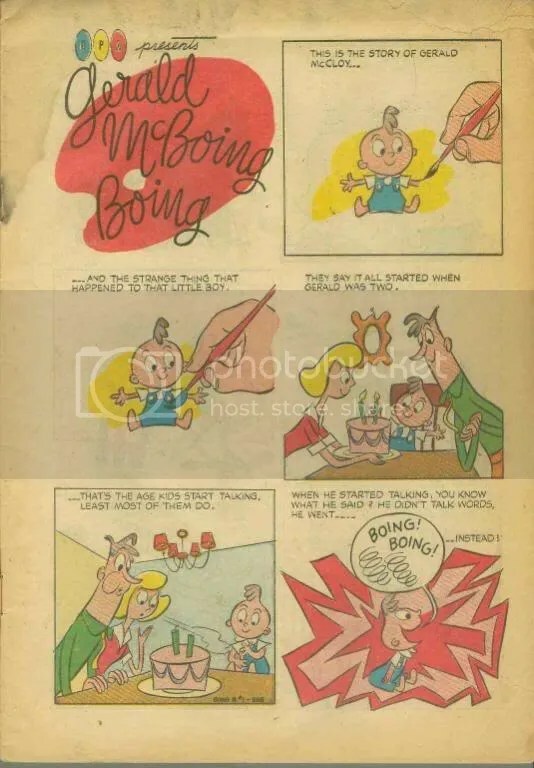 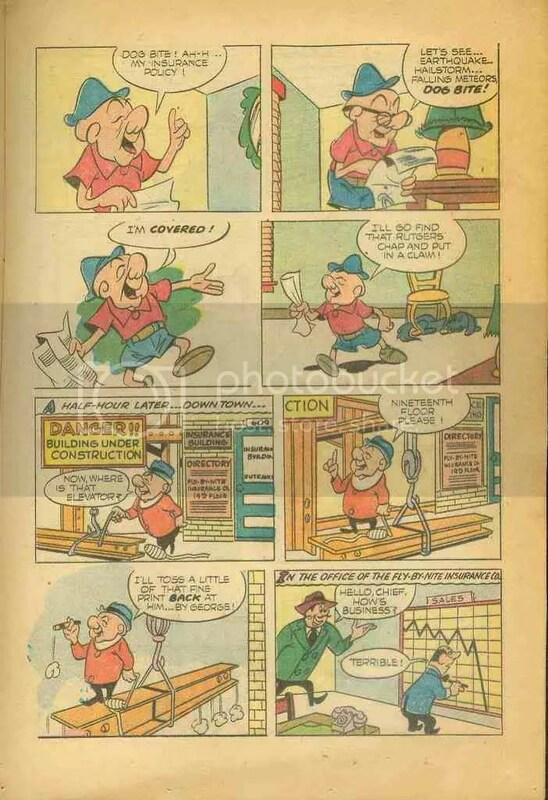 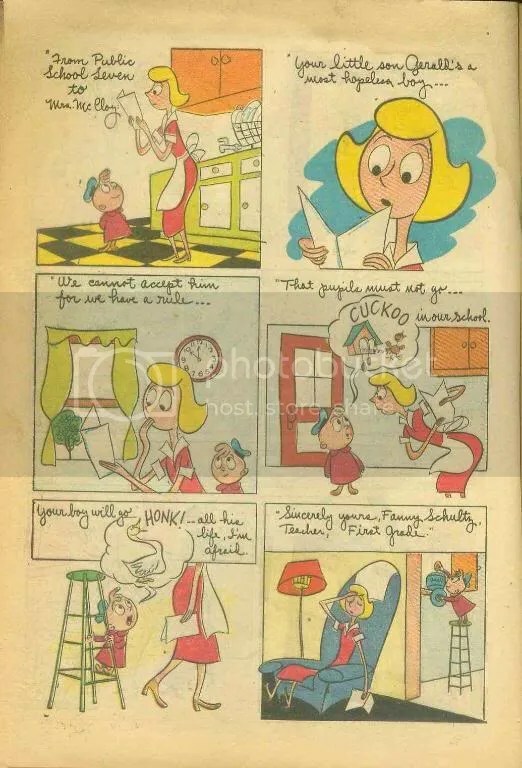 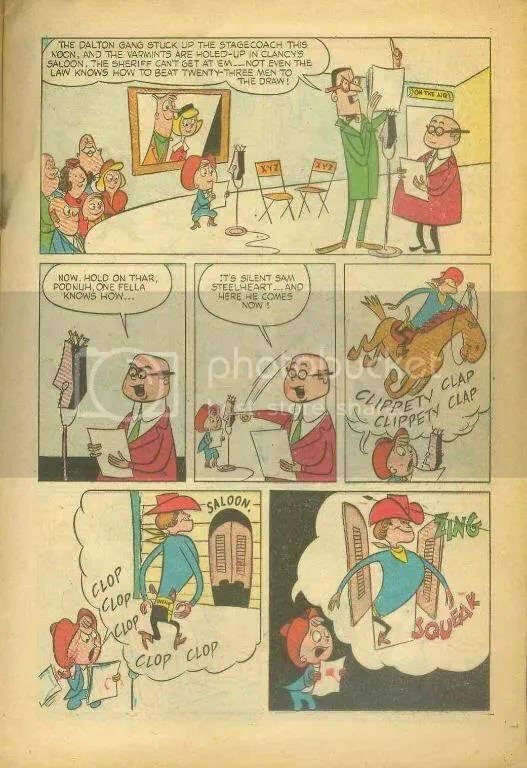 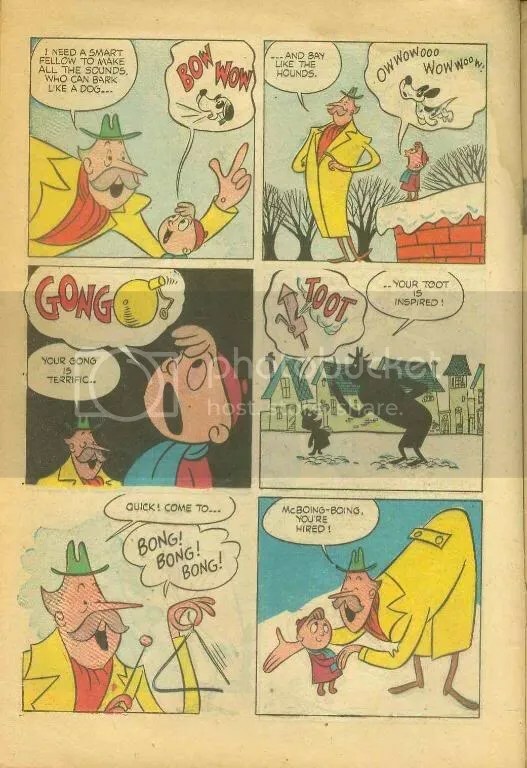 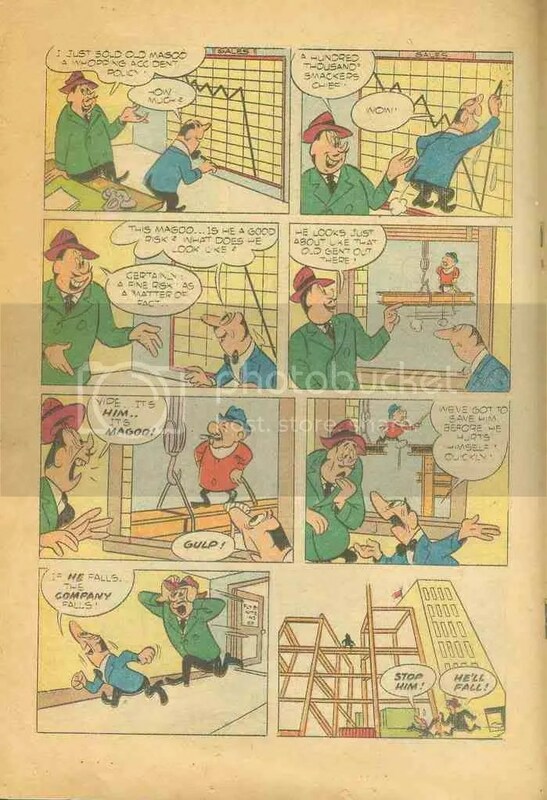 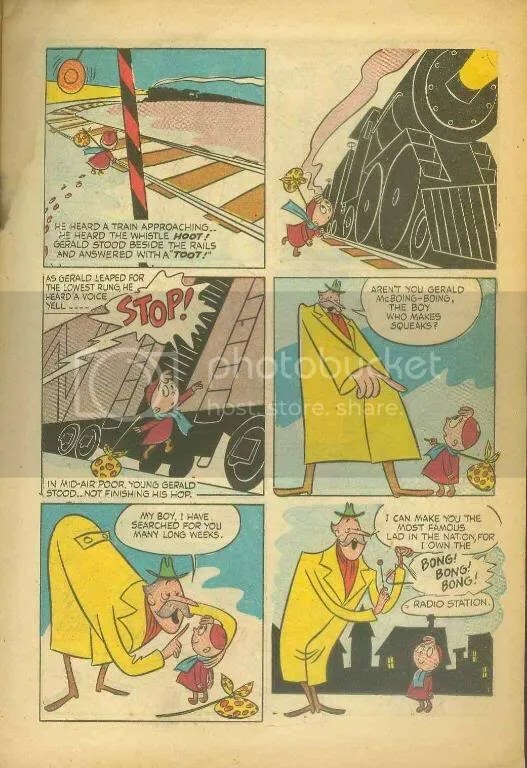 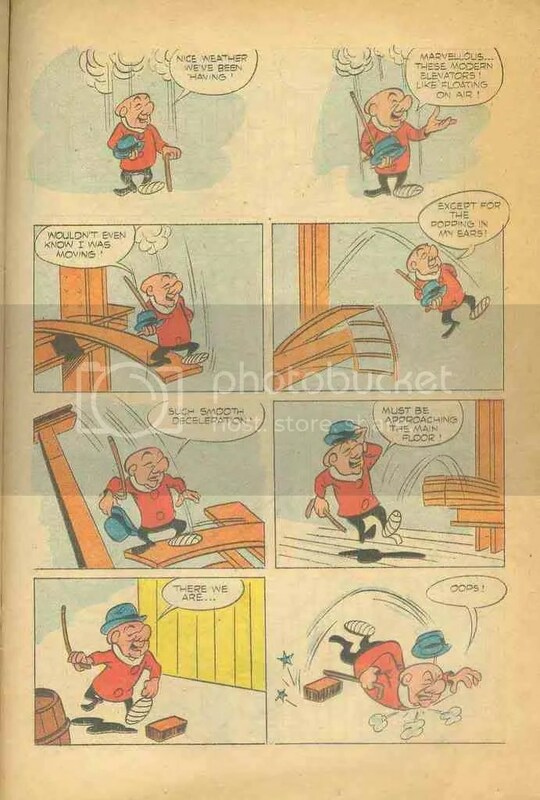 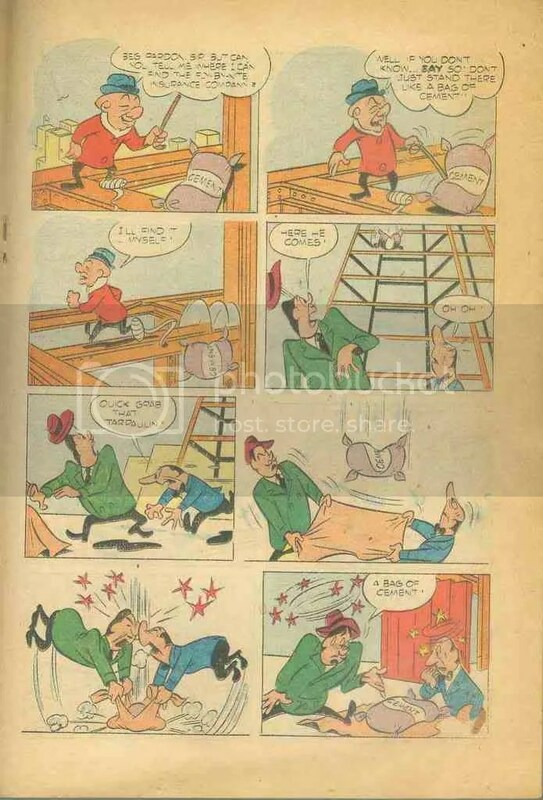 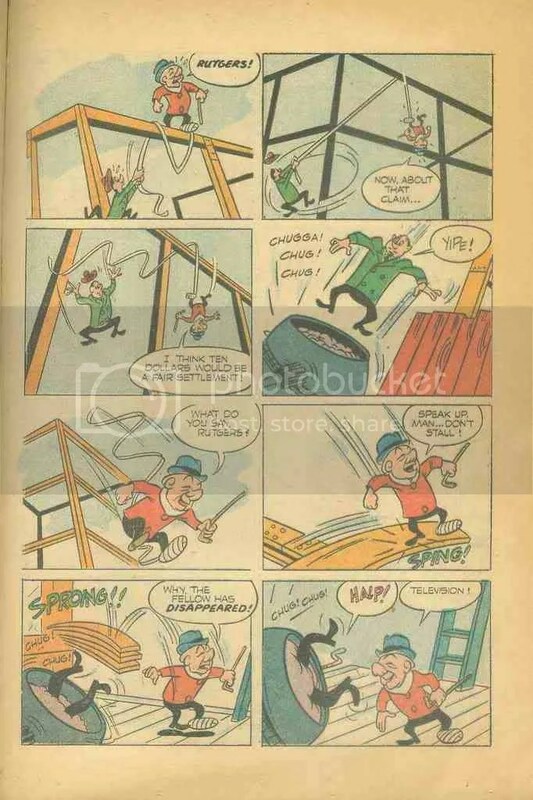 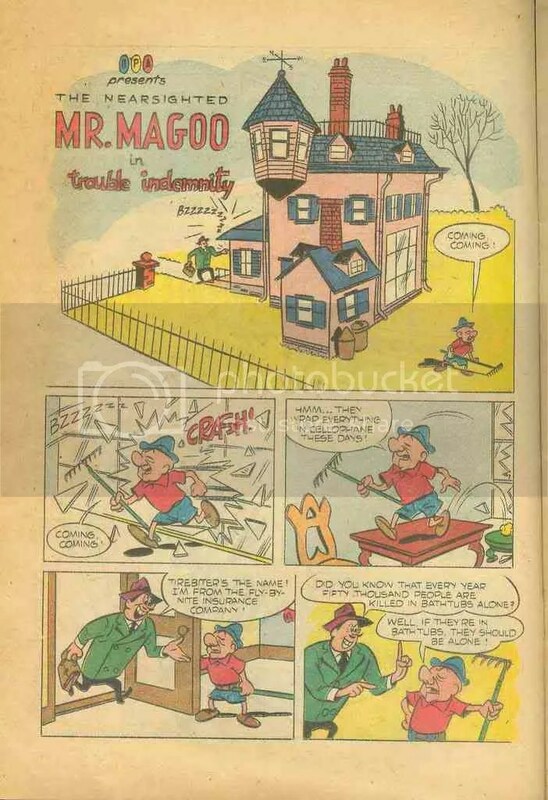 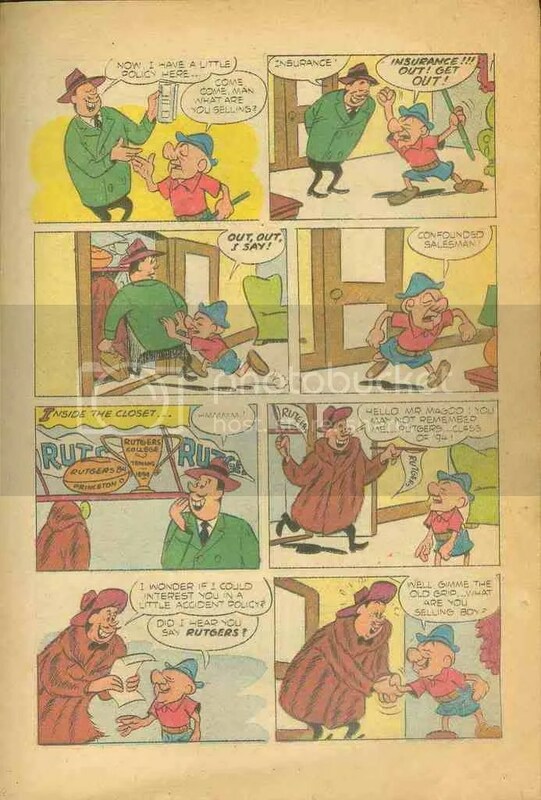 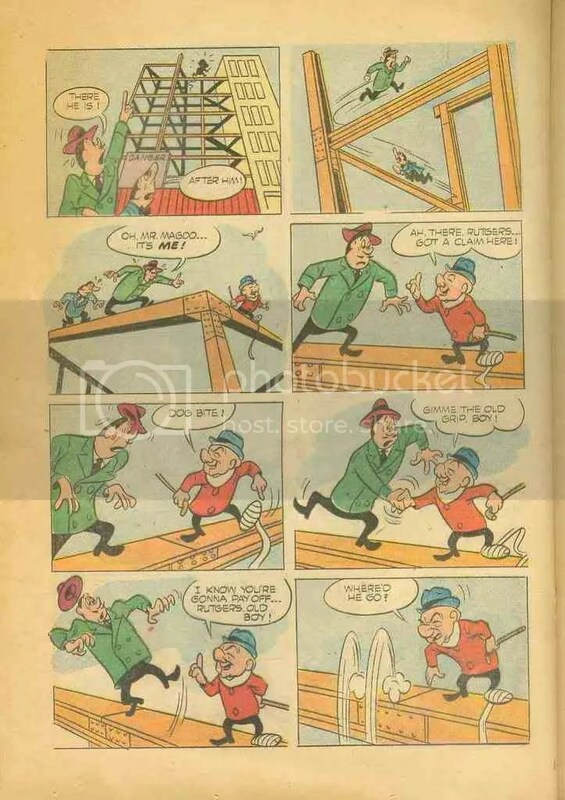 In the 1950s Dell published a number of UPA based comic books under the rather awkward title of Gerald McBoing Boing and the Nearsighted Mr Magoo. 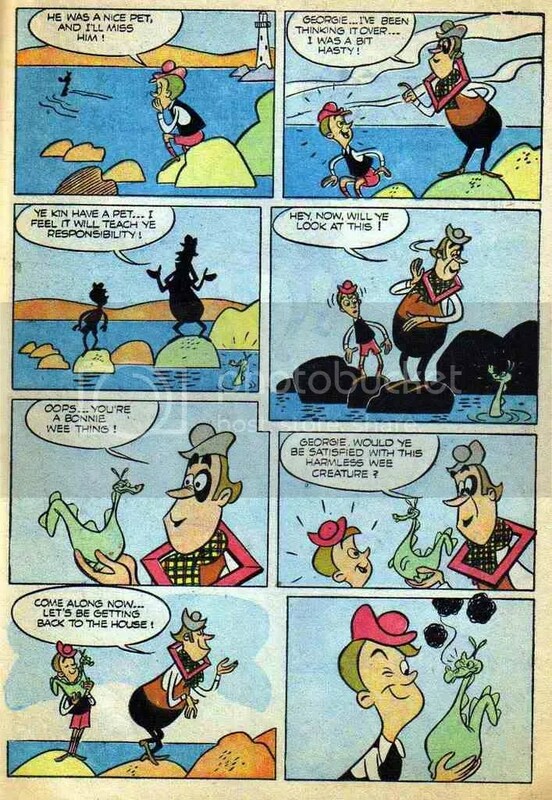 Many of the stories contained within the book were original, but some, like Trouble Indemnity, were based on the UPA cartoons.